FAQ Does your belief that soyâs not good for health apply to all people or just to musclebuilders? FAQ Is it OK if the protein-powder I have contains sweetening agents that are not natural? I think you can probably tell the answer to that question on your own. The answer is no. Artificial sweetening agents are poisonous and should be avoided. They affect your mind, your metabolic rate, and even organs such as the liver. Stay away from any sweetener that isnât natural. Speaking of sweeteners, if youâre drinking colas, you should be able to lose ten pounds quickly just by cutting them out of your life. FAQ I donât get it: if the soft drink is calorie-free, how can it be bad? When itâs all said and done, the food that has artificial sweeteners is bad for you. In fact, youâll be better off using the equivalent products that have sugar. Again, the big risk here is you liver. If you spend all your time drinking diet sodas, youâre going to do a lot of harm to it. This is why I steer people toward all natural alternatives to sugar-free food products. These will get the job done without putting your internal organs at risk. FAQ I heard you talk about how some dairy products are good and others are bad. What does this mean? Pasteurized dairy products make you fat. Thatâs the simple truth. You need to start using raw dairy products. FAQ I have a problem footing the bill for all the organic food you want me to buy. Iâm not sure if itâs going to make much of a difference in my program. Will it? Here we go back to the liver again. All the chemical sprays used on foods to kill bugs are bad for your liver. All the drugs and hormonal additives fed to cattle make things worse for your liver too. When you liver gets stopped up, youâre going to have fat-burning problems and even increase the amount of fat in your body. The answer is yes. If you want to build a healthy lifestyle, youâre going to have to make the switch to organically produced foods. FAQ Which fat burning supplement do you recommend? FAQ Tell me more about the food that is poisonous to the body and how to spot them. If you want to get a real shock, just study what is in the food that most people are eating these days. Youâll find chemicals directly or indirectly added to almost everything at your typical supermarket. The worst things to look for are the hydrogenated oils and high-fructose corn syrup that are in many products. Look for these offenders in processed food, much of which comes in packaged goods that are intended to keep them âfresh.â The problem is that these ingredients contribute to the accumulation of excess fat and are contrary to the fitness goals most people have. FAQ Does your program cover what food to eat to maintain a good metabolic response in the body? Yes. Your metabolism is directly related to the food you eat. When your metabolism isnât working properly, you have lost an important ally in the battle to improve your body composition. I include training tools that help you learn what kinds of food contribute to fat burning and what kind of foods build fat. 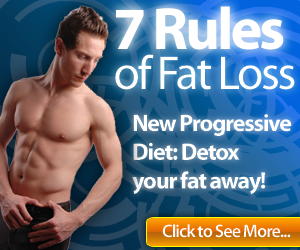 Fat Loss Factor is designed to teach people to have an overall healthy lifestyle. FAQ Is a fat-free regimen a good way to get started on weight loss? No. In fact, you will probably find examples all around you where people on that kind of diet have actually gained weight. The important thing to do is make sure you get the good kind of fat to keep your body running right. It seems weird that you have to include fat in your diet in order to lose fat, but itâs true. Also stay with natural fats, not the poison that comes with the fries and burgers at the fast food restaurant. FAQ I have read Fat Loss Factor and now I recognize that I need to do something to boost my energy. What do you recommend? FAQ What is involved in learning my metabolism type and is it something I need to know? Typing your metabolism is the process of learning how you respond to different kinds of food. By learning what foods give your body the best results, you can target your nutrition plan accordingly. You need to get as much efficiency as possible from every segment of your life, and this is one way to do it with your diet. FAQ I want to stop eating. That will help me lose weight â" right? FAQ Why is it that corporations are allowed to market and sell food that contains dangerous poisons in it? It boils down to cold hard cash. Thatâs what almost everyone is after. The problem is that some drug and food companies donât care what the chemicals do to your body. Itâs a shame too. Shouldnât you be able to count on medicine being good for you rather than bad? Why canât we have fresh food without all the toxins? The truth is that they will market what they can sell, and if itâs bad things people want, most companies will go ahead and let them buy them. Healthy eating wonât make billionaires, but it could make millions of people healthier so they can have better lives.